Add some personality to your BBQ tool set. 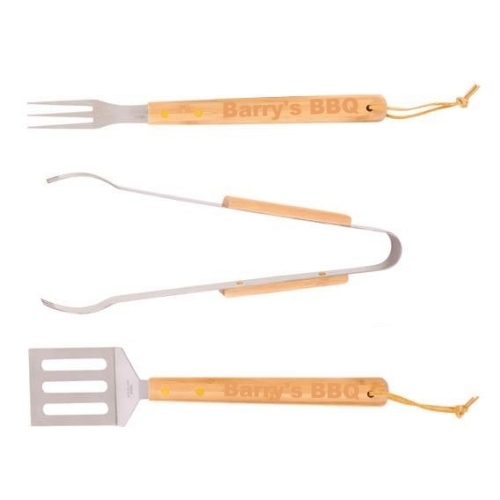 This set of the three most popular BBQ tools - spatula, tongs and meat fork - are 14-1/2" long made from stainless steel for easy cleaning and long life. The beautiful handles are environmentally friendly natural bamboo for long life. Make them your own by engraving your name or message on the handles, transforming them from utensils into a truly memorable gift. The laser cuts into the wood in your choice of six different fonts. The engraver cut is very sharp and high resolution and the images will never fade or wear off. 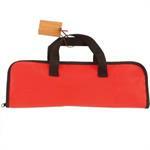 Great for that housewarming, family special occasion, for corporate gift giving or for other promotional product use. The standard* imprint area on the handle is 4" x 5/8" on either the inside and/or the outside of the spatula and meat fork handles or on one or both outside tong handles. 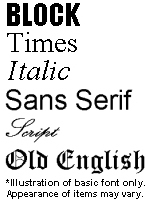 You just select the font of your choice from a drop down menu in the shopping cart then type in your text into the text box on the page. 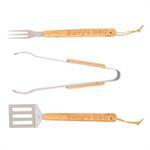 Solid Construction - this oversized tool set contains the three most popular BBQ tools. The tools are brilliantly polished stainless steel. The handles are environmentally friendly natural bamboo. The tools have a great quality heft to them. The tool handles are a generous 14-1/2" long with leather thongs on the spatula and the meat fork. Flexible message location - we can engrave your text message on the inside or the outside of each tool. All three tools will be engraved with the same text. If you want the same message engraved on both sides of the spatula and meat fork handles and on the outside of both tong handles there is a $3 additional charge. If you want a different message engraved on the inside and outside of the spatula and meat fork handles and on the outside of each tong handle there is a $5 additional charge. 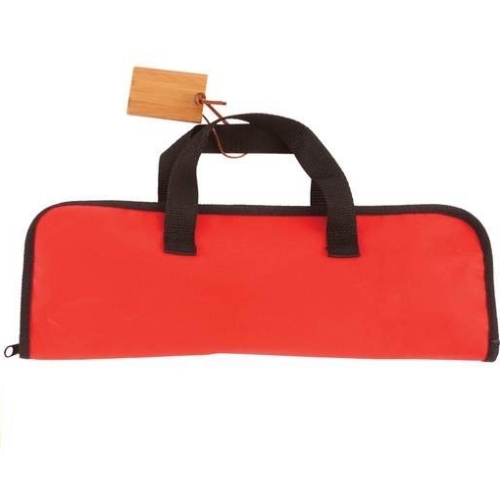 Includes Carry Case - The BBQ tools include a carrying case. Perfect for those camping outings or BBQ at the beach. 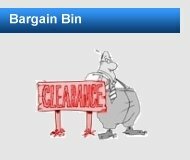 Quantity Discounts - order multiple BBQ tool sets with the same engraving and your cost goes down. Great for holiday or special occasion gift giving and they make great corporate promotional gifts. Delivery to meet your schedule - Standard production is normally 1 to 7 working days from receipt of your order except for the holiday season from November 15 through December 31 when standard production goes up to 10 working days to accommodate our surge of holiday orders. PLEASE NOTE: Production times represent production time from our receipt of order to shipment; they DO NOT include shipping time in transit. 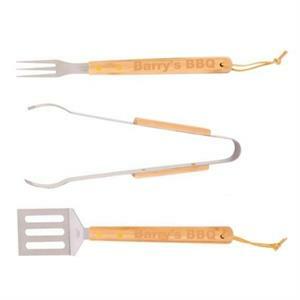 Make your BBQ tool set into more than just a high quality gift. Our laser engraving makes it easy for you to customize the tools for any occasion. Makes a great gift for that outdoor grill master on your gift list, too!